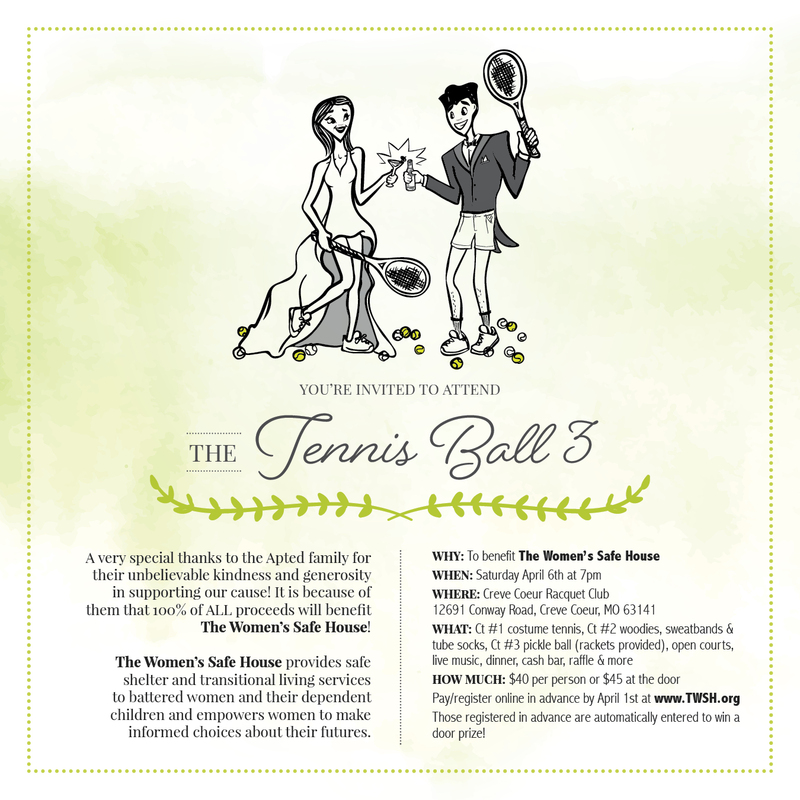 Join us on April 6th at Creve Couer Racquet Club for a fun evening benefitting The Women’s Safe House. There are courts for tennis and pickleball, mystery raffles, live music, food, and a cash bar. Even if you don’t play tennis the night is fun for everyone! Come dressed in casual clothes or ready to play games. Tickets are on sale now at $40 per person. Purchasing tickets in advance saves money and enters you for a chance to win Cardinals Tickets! You don’t want to miss this event, it’s always a ball!